Create a warm and inviting bathroom with our Alison Cork Chrome Towel Rail. It has a quality traditional design with stylish ball joints and comes with radiator valves included. It features as part of our Victorian Elegance collection, but it's classic look makes it ideal for any traditional bathroom. Manufactured to the highest standards and constructed from strong chrome plated durable steel, it's perfect for storing and warming towels whilst taking a hot, relaxing bath or shower. Supplied with fixings and valves. 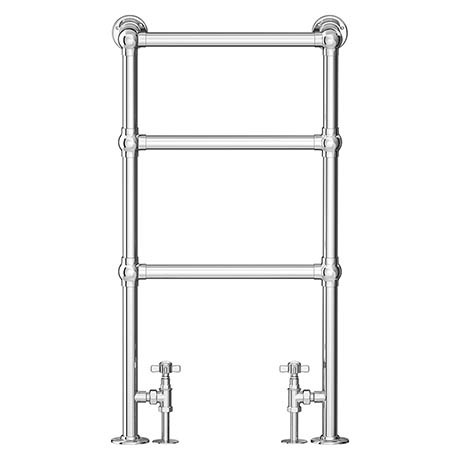 "This is a superb towel rail, such good quality. Very pleased with my purchase."